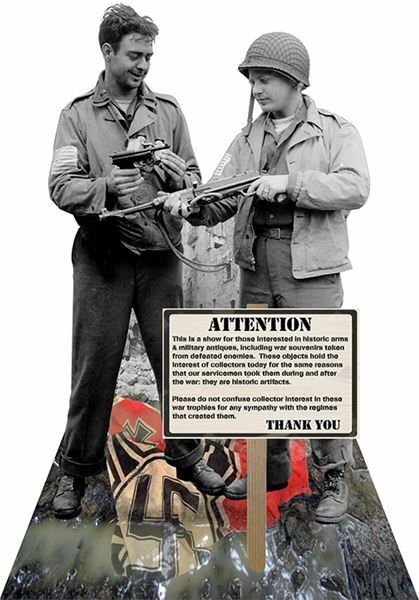 to read important Show of Shows instructions, rule changes and society information. The MAX show is moving in 2020. The rumor mills have been buzzing with the news that the MAX show is moving from Monroeville to York, PA. Is this true? Well, yes, but fear not and please carefully read the following. First of all, relax, nothing will change this year. The 2019 MAX Show will be held in Monroeville just as before. Your tables, hotel reservations and travel plans do not need to change. 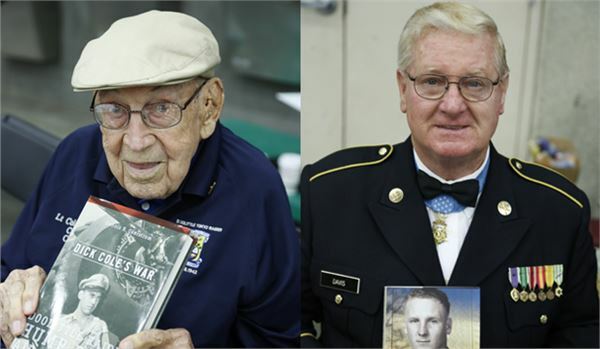 You will be able to enjoy all your favorite hotels, restaurants, and the fine facilities of the Monroeville Convention Center one more time. So, where are we moving and why are we going? The “where” is the York Expo Center at the York County Fairgrounds in York, PA. The “why” takes a little longer to explain. When the Ohio Valley Military Society purchased the MAX Show back in 2015 we knew that Monroeville was not going to be our first choice for a show location. The society made no secret among the membership that we were looking for a suitable venue closer to the east coast where there is a very large collecting community concentrated in New England and the Mid-Atlantic regions along the I-95 corridor between New York City and Washington, DC. 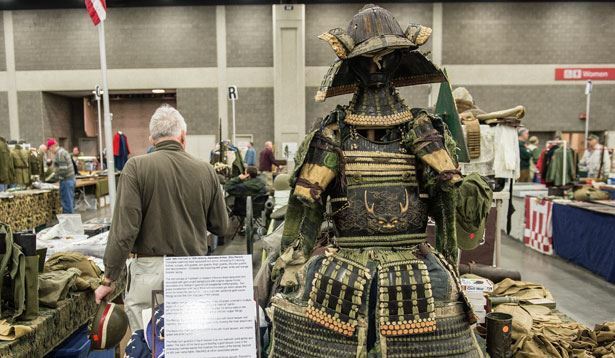 Many of these collectors feel they are just a bit too far from Louisville to affordably attend the Show of Shows. 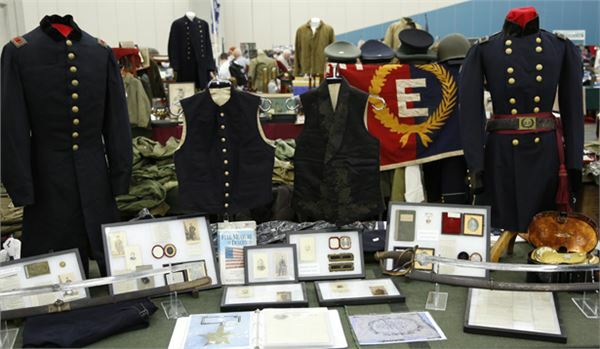 Bringing that particular group of collectors into the OVMS family with the nation’s second largest brand name militaria show was one of the main reasons why we had bought the MAX in the first place. Initially we were locked into a three year contract with Monroeville, so moving right away was not possible. It took us a few more years to find a place that could meet all the needs that are vital to ensure a successful show. We have found that place at the York Expo Center. What makes York so much better? Each year at the MAX we hear a number of legitimate complaints about the Monroeville venue from dealers, members, and guests alike. These can be summarized into problems that York easily fixes. Let’s look at them as bullet points. 2. At Monroeville most of the tables are only 6 ft. long. All the aisle tables at York will be 8 ft. long, just like we use at the Show of Shows. 3. The “easiest?” way to load into Monroeville is to push your carts up a steep ramp at the large overhead door. This is becoming something of a problem (and dangerous) as we all grow older. The large 16 ft. x 16 ft. overhead door at York is on level ground leading from what will be the special dealer’s only parking lot. 4. Speaking of parking, there has never been enough near-by parking available at Monroeville. At York there will be more than enough close-in public parking plus the above mentioned special dealer’s lot. Not only is the parking ample and on level ground, it’s also FREE! Don’t we all wish we could get that for the SOS? 5. In theory, the Pittsburgh International Airport is a 45 minute drive to Monroeville. That may be true at two in the morning with no traffic or road construction. In reality, the ride can be much longer. York is serviced by at least three international airports. The largest close-by airport is Baltimore-Washington International which is just an hour away. Smaller but closer is Harrisburg International with only a 35 minute direct drive. The airport that may offer the most direct flights would be Philadelphia International. While it is about a 2 hour drive, it may be the better option for some of our International guests. Those flying from anywhere in the world should have no trouble getting to York. 6. Like Monroeville, York offers a multitude of both fine and budget hotels. In addition, all your favorite restaurants, as well as some unexplored local spots, are there, too. The OVMS staff has already laid claim to a top notch BBQ joint. All are located just a couple of miles away along the Route 30 corridor. No matter what your taste or the size of your wallet, you’ll find what you’re looking for in York. We will be publishing a list of hotels with special MAX Show rates later this summer. 7. York is located in the very middle of one of the finest and most diverse tourist regions in America. 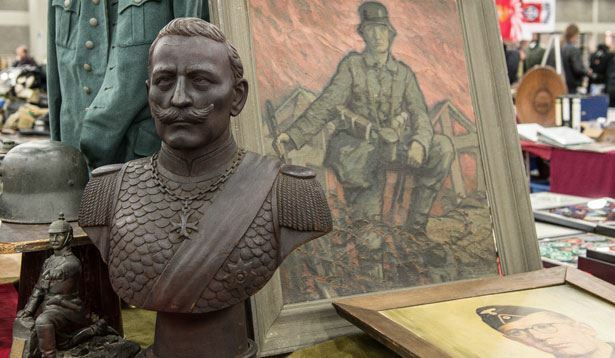 If you like American history, you are just a short drive from Gettysburg, Valley Forge, Philadelphia, the Northern Virginia Civil War battlefields, historic Baltimore, the sights and museums of Washington, D.C., and much more. 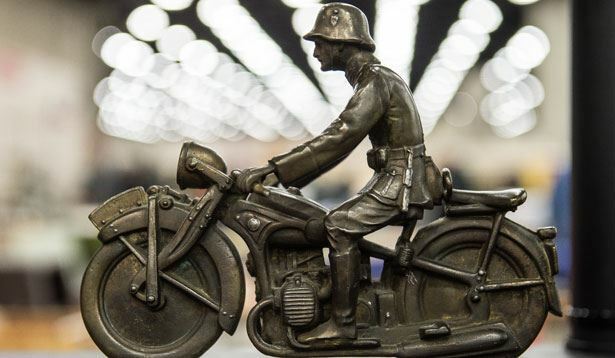 Do you like motorcycles? Then take the tour of the Haley-Davidson Factory. In addition, Lancaster and the Amish country are literally right next door! Now is the time to plan your 2020 family vacation around the MAX Show. These are just a few of the possible benefits that York affords us. We are making some very exciting plans for future MAX Shows. The York venue allows the possibility of adding some new features to the show. Throughout this year, as new things come on line, we will keep the membership up-to-date. Keep your eye on the OVMS website for the latest news. One of the not-so-nice rumors that we must put to an end is the false claim that we are running away from Monroeville because of the tragic shootings that occurred last year at the Tree of Life Synagogue in neighboring Squirrel Hill. This is simply not true. The move to York was already in the works a full two months before the day of that criminal attack. It is also not true that we are leaving because of the treatment we received at Monroeville. On the contrary, the management and staff of the Monroeville Convention Center and the Doubletree Hotel have been the most wonderful folks to work with. They are dedicated and hard working. We wish we could take them with us. However, it is important that this long-planned move be made in 2020. 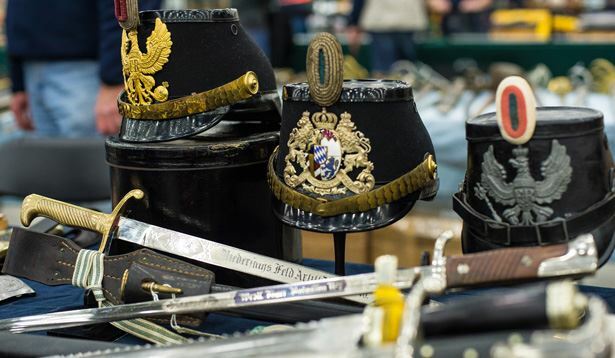 All the needed factors: location, dates, facility, and amenities have all come together at this time in York, PA. From the time that the OVMS first took over the reins of the MAX Show, the officers and directors have known that a move to the east was necessary for the success and growth of the show, the society, and the militaria collecting hobby overall. That time is now! So join us for one last fantastic MAX Show in Monroeville on Sept. 18-22, 2019. Then we will turn east and face the rising sun of a new chapter in MAX Show history on Sept. 16-20. 2020. 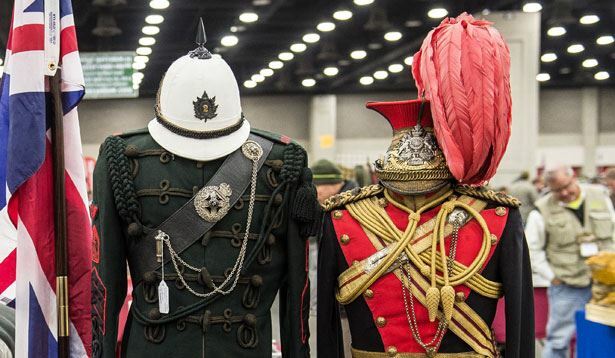 The Ohio Valley Military Society is one the oldest and largest Militaria collector's clubs in the world with over 4,000 current members. 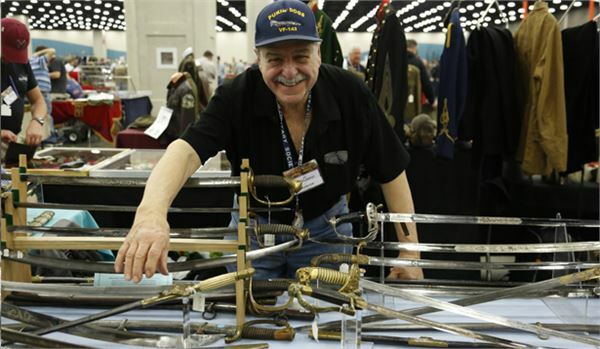 The primary endeavor of the Society is to promote the study and collecting of historic military artifacts by sponsoring three regularly scheduled shows a year in the Ohio Valley area. 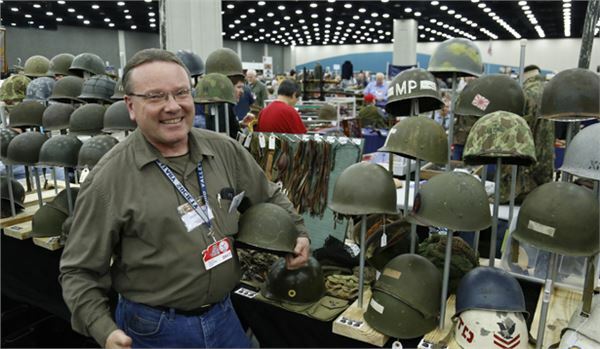 The Ohio Valley Military Society is an Ohio corporate Society the sponsors exhibitions and educational shows where military artifacts and regalia can be bought, sold, or traded. 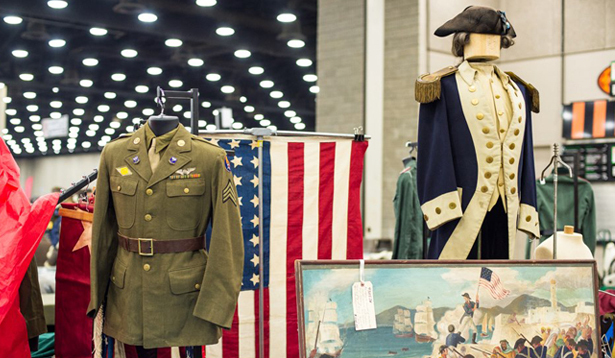 The society promotes the study and the discussion of military history, military artifacts, and their provenance through the collecting of military items.